... what time has taken away! Restore color. Ask us today about Micropigmentation. Ask us today about Micropigmentation. Learn how it can help restore beauty naturally. My makeup won't wash off. Ask us today about Micropigmentation. Learn how it can help restore beauty naturally. ... of always looking good! "Imagine" brochure from Kolorsource. 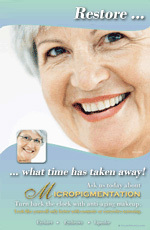 These brochures answer questions your clients might have about Permanent Makeup. For Example, your clients want to know, "Does it hurt?" or "How long does it last?". 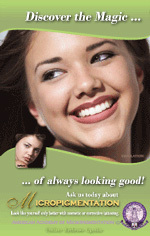 The brochure also lists the FDA website and describes the 10 Reasons Women Want Permanent Makeup. Answers all questions about permanent makeup, what to expect, pain control, MRI's, sources of information (FDA) and illustrated with real clients with permanent makeup. Explains how to use this method to remove body tattoos and small mistakes with brows and lips. Can be used on eye area with great care. Special salt is included. A class with hands-on should be followed for correct procedure and insurance is available. An extra service to add to your PMU business is body tattoo removal that can bring lots of new clients. Prices can be based on a laser removal. 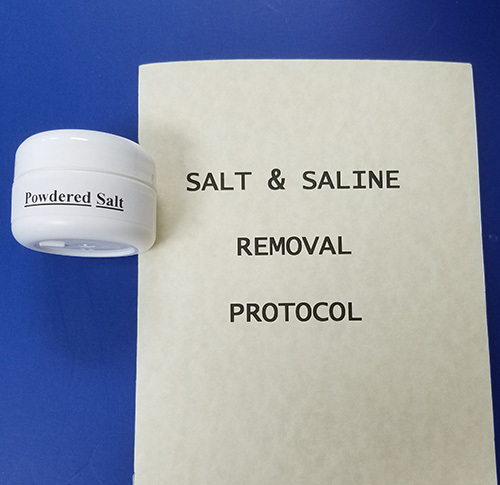 The Salt removal does not leave a scar or discolored skin.